So I finally got myself back outside for a run this morning. It helped that the gym was doing an AM run club so I was motivated to get up early, layer on the clothes, and be at the gym by 8:00AM. I must say it was so nice to run with people as opposed to on my own. I also met some runners doing the marathon, who I am hoping to recruit to log those long miles with me. In the end, the sun was shining and I finished my almost 5 miles with too many layers of clothes and a smile on my face. Looking forward to some (relatively) warmer days and some more outdoor workouts. Coming back indoors, I was ready for a warm meal. My blogger buddy had made a two bean soup (as seen HERE) based on a CL recipe that you can find HERE. I have been looking for new soup recipes and this one peaked my interest. 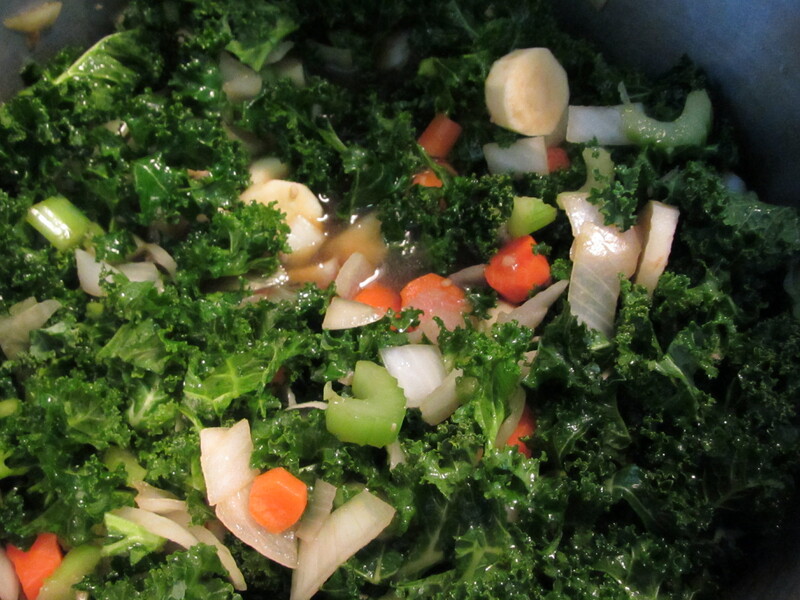 It was different and quick…plus, it had Kale the superfood, which I have been wanting to try. 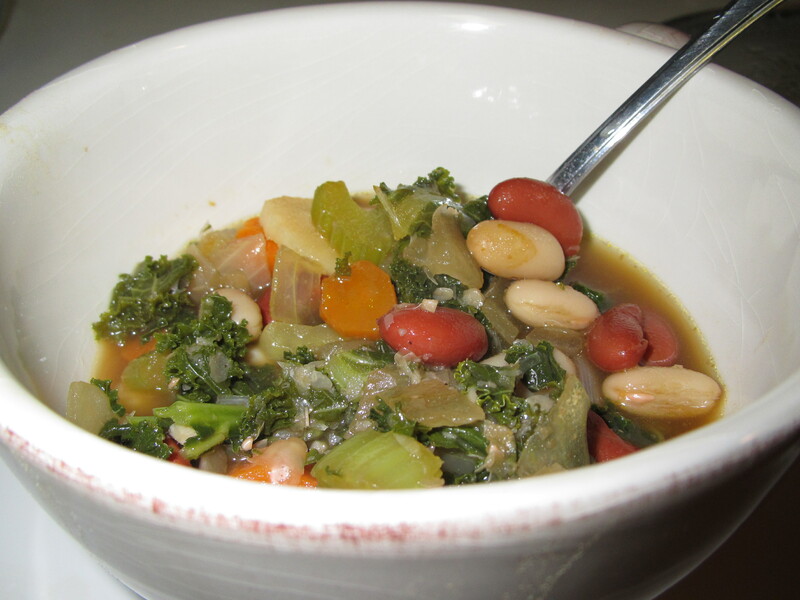 I used ideas from both soups to make my own fabulous (and healthy) bean and kale soup. It is definitely a keeper! Grabbing carrots, parsnips, celery, and onion, I got to work. The parsnip was Meredith’s idea and a great addition. I used 4 carrots, 2 parsnips, 4 stalks of celery and 1 onion and combined them all with 2 tablespoons of olive oil in my dutch oven (recently found during a kitchen cabinet clean). 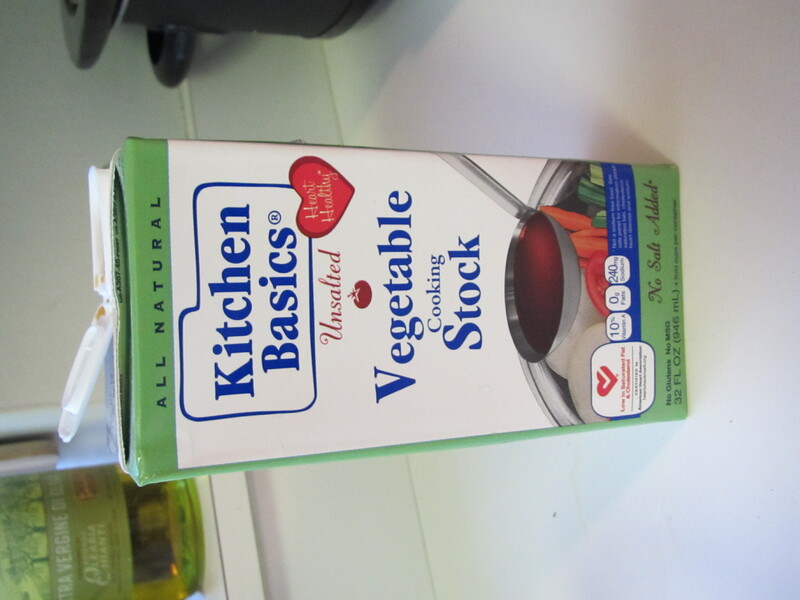 When I added my 3 cups of low sodium vegetable broth, it was obvious that I was going to need more liquid AND a bigger pot. Luckily, a close family friend bought me a HUGE soup bought during a soup lesson in Memphis, so I was good to go. 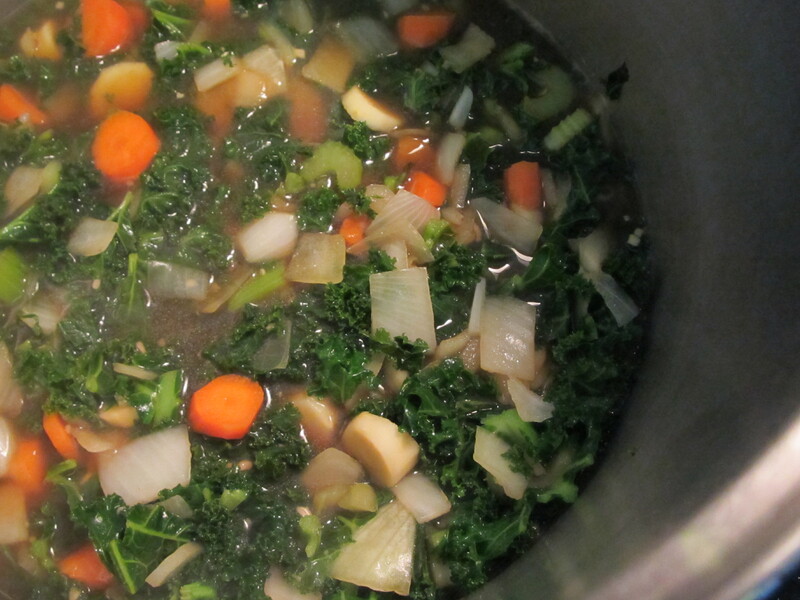 I ended up adding 2 cups of water to the broth to make enough room after adding the Kale. In the end, this didn’t lessen the flavor at all. Just a FYI, I found the kale at Whole Foods. It was the same price as the Jewel (local grocery) but looked greener and much fresher. 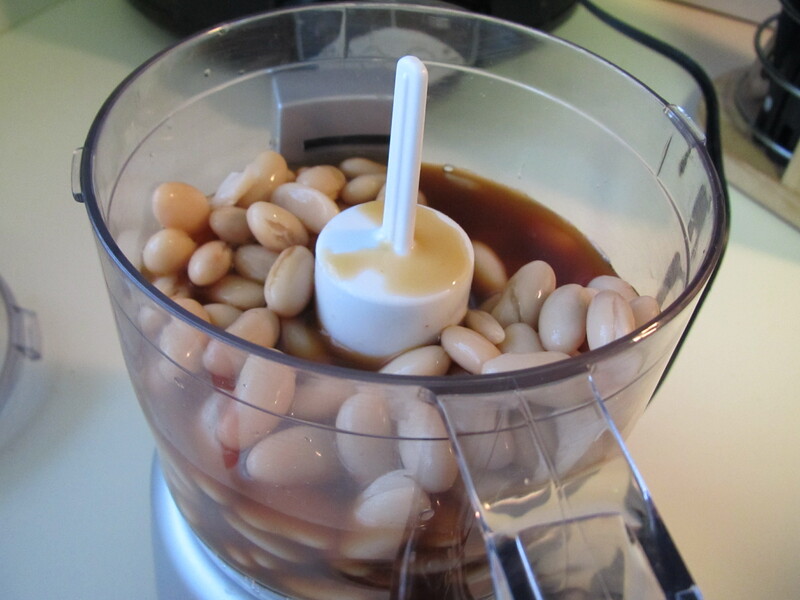 An interesting piece of this soup recipe calls for blending 1 can of cannelini beans with the remaining 1 cups of broth. 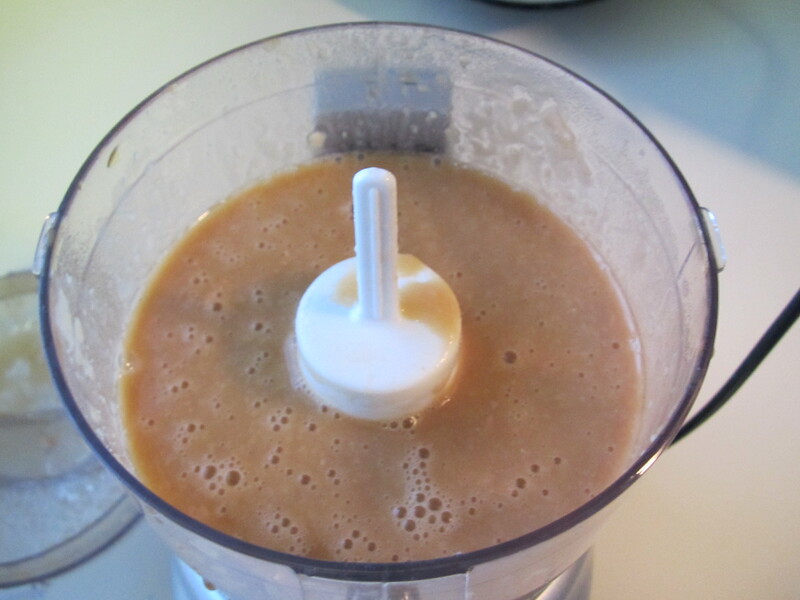 It made this horrible looking liquid (that probably shouldn’t be posted on blogs), but I am guessing it was meant to thicken the soup. 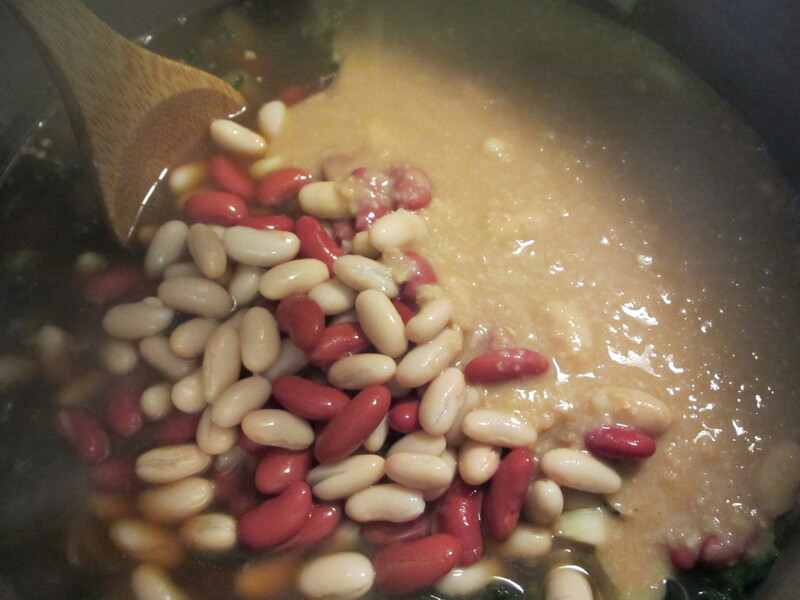 I added the cannelini bean mixture, 1 can of light red kidney beans and another can of cannelini beans. The CL recipe recommends low sodium beans. Other than black beans, I find it hard to find low sodium options, but I have heard that rinsing and draining the beans drastically cuts the amount of sodium. After simmering for about 5 minutes, I added the last little bit of Kosher salt, pepper, and since I didn’t have red wine vinegar, I added balsamic vinegar. 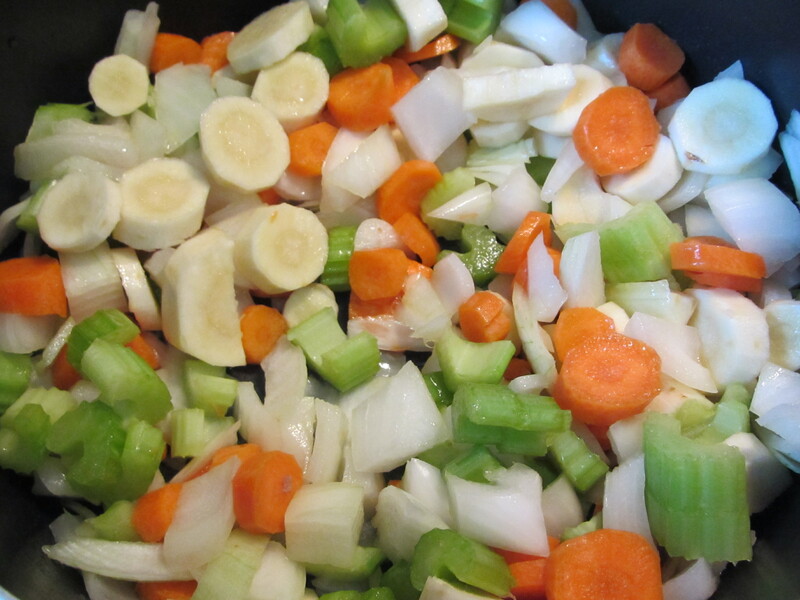 I was shocked at how flavorful the soup turned out considering its easy preparation. I was also amazed at how soft the veggies were after such a short cook time. The parsnips bring an additional flavor to the soup and the texture of the kale fits nicely with the beans (which I wouldn’t normally eat alone). I ended up with 10 1-cup servings of the soup. Typically, I would freeze half, but I have a feeling it won’t last long and I have family and friends to share it with during these cold days. One thing that I learned after making this soup is that I am apt to follow a recipe line by line, especially the first time around. I should be less afraid to change recipes to fit my tastes and to explore new foods, such as kale and parsnips. NEXT UP…to follow this incredibly healthy food…some not-so-healthy Valentine’s Day goodies! Glad you had the larger pot! p.s. 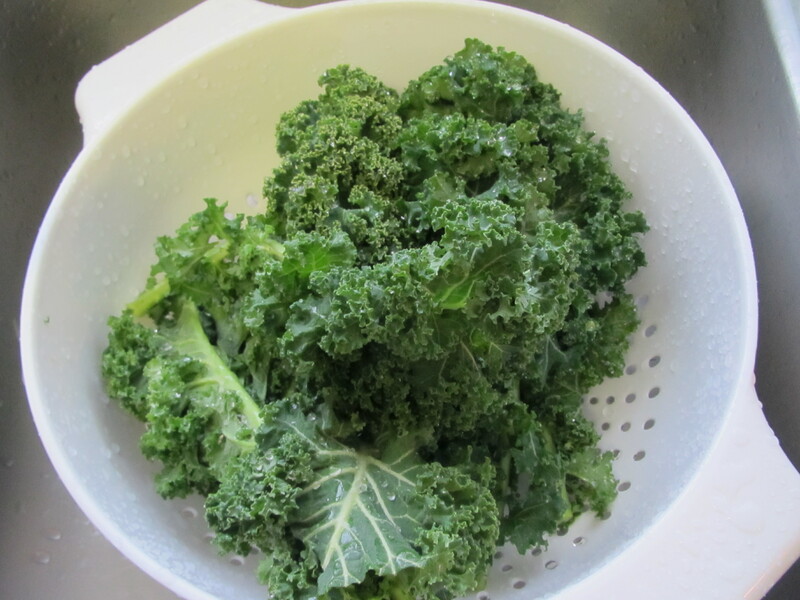 wish i had used kale this time in mine…yours looks delicous!